QNB Bank has promoted Cheryl Morris to the position of Senior Vice President, Chief Credit Officer. In her role, Cheryl is responsible for measuring and managing the risk in the Bank’s loan portfolio. In addition, Cheryl oversees Credit, Documentation and Loan Servicing. Cheryl has been in banking for 28 years, previously serving as Vice President, Credit Manager at QNB Bank. She earned her Bachelor of Business Administration degree at the College of William & Mary and went on to earn her Master of Business Administration degree from Lehigh University. Cheryl then continued her education at ABA Commercial Lending Graduate School where she graduated with honors. Cheryl lives in Doylestown, PA with her family. She remains active in her community where she plays handbells and serves on the Adult Education Committee at Doylestown Presbyterian Church. 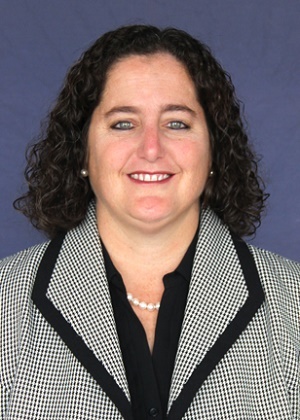 Cheryl also serves on the parent committee of Boy Scouts of America Troop 48, is a Board Member of Doylestown Athletics Association Basketball, and is President of the booster club for the Central Bucks West boys soccer team.